I can't tell you how pumped I am to moving this series along. It's the one that started me down this path of writing and the books that have taught me the most. The journey continues as Satchel and company explore the Armendr Sea aboard Sebastion's ship, Vagabond's Madness, searching for clues about the nefarious Order of Arx Niveus and the mystical spyglass. Amon is still after the red mandolin, only this time he's not alone. The elven bounty hunter has teamed up with a psychotic killer who will stop at nothing to get what he wants: Satchel's magic armor. Hastiand the bard learns to survive after being stranded on a deserted island. When he ventures into the island's dark woods, he comes across an abandoned manor, one that holds secrets that go back hundreds of years. Secrets connected to the creation of the red mandolin. 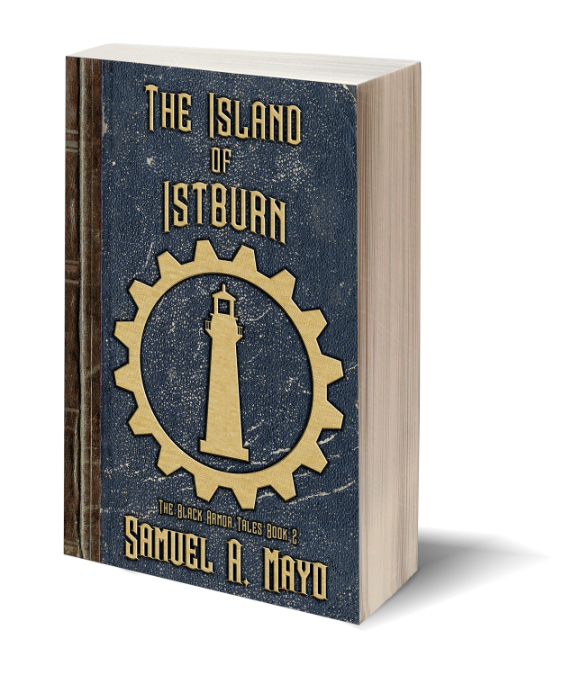 All paths lead to the island of Istburn where the actions of a few will change the lives of thousands. If you haven't read book one yet, you can learn where to get it here.